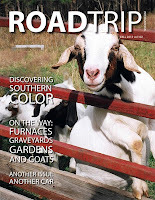 The new issue of RoadTrip International is out! If you're looking for a fun road trip to see some beautiful fall color -- and you're lucky enough to live near northeastern Alabama -- look no further than Cheaha State Park. The drive and the destination are well worth your family's time.